Kathryn Chandria Manuel Bernardo (born March 26, 1996) is a Filipino actress, model and recording artist. She became known for her role as Mara in the hit TV series Mara Clara (2010-2011). She has since starred in TV series' Princess and I (2012-2013), Got to Believe (2013-2014), Pangako Sa 'Yo (2015-2016) and La Luna Sangre (2017-2018). She has also starred in different films such as Way Back Home (2011), Must Be... Love (2013), She's Dating the Gangster (2014), Crazy Beautiful You (2015), Barcelona: A Love Untold (2016) and Can't Help Falling in Love (2017). Bernardo has been a contract artist of Star Magic and ABS-CBN since 2003 and 2010, respectively. Bernardo began acting in 2003, appearing as the young Cielo on ABS-CBN's It Might Be You. In 2006, she landed her first main role in the TV series Super Inggo playing Maya, the love interest of the main character. She then continued to play different roles in other ABS-CBN shows such as Krystala and Vietnam Rose before landing a permanent spot on the hit kiddie show Goin' Bulilit'. In 2010, Bernardo received dramatic roles, the first being young Victoria on ABS-CBN's Magkaribal and young Jenny on GMA's Endless Love. Coincidentally, both premiered on June 28, 2010. Bernardo's breakthrough role was her as Mara David/Mara Del Valle in the remake of 1992 television drama Mara Clara with her co-star and off-screen best friend Julia Montes. Since its premiere, the TV series remained a consistent leader in primetime ratings. Affirming its success, the show was nominated in the 2011 Banff World Media Festival's "Telenovelas & Soap Operas" category and marked Bernardo's future as a distinguished actress. After the primetime teleserye ended, Bernardo soon began appearing in the Sunday afternoon teen show Growing Up. Re-partnering with Julia Montes, the show starred other up and coming ABS-CBN teen stars such as Kiray Celis, Diego Loyzaga and Daniel Padilla. On the show, Bernardo played the role of 15-year-old Ella who lives with her single mother. The show premiered strongly, ranking at number 2 overall on the afternoon block of primetime television. Bernardo's film career started in 2004 with the movie Gagamboy. However, it was only in 2011 when she, together with her Mara Clara co-star Julia Montes, received a lead role in the movie Way Back Home. 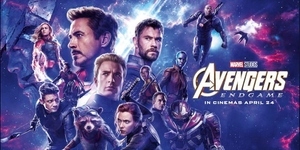 The film opened at first place with an estimated PHP 18 million (US $428,571) in its first week that then surpassed other foreign film showings at the time, such as The Smurfs and Conan the Barbarian according to Box Office Mojo. In that same year, Bernardo was included in Regal Film's Metro Manila Film Festival entry Shake, Rattle & Roll 13. Bernardo took on the horror genre by snagging one of the lead roles of the film's second story called Parola. Her performance received positive reviews. In a review for ClickTheCity.com, Philbert Dy praised Bernardo's acting: "A fantastic performance from Kathryn Bernardo ties it all together. It might just be one of the best things that has ever come out of Shake Rattle and Roll." She starred in Princess and I, a romance/drama royalty-themed television series, following the success of Growing Up. With a cast flanked by Daniel Padilla as Gino Dela Rosa, Enrique Gil as Prince Jao and Bernardo as Mikay/Princess Areeyah, the teleserye is touted as one of the grandest, being the first Philippine show to be shot in Bhutan. Aside from Padilla and Gil as Bernardo's leading men on the show, Pilipinas Got Talent Season 3 former contestant Khalil Ramos played Mikay's unrequited lover and best friend Kiko. Other veteran actors like Gretchen Barretto and Albert Martinez joined the star-studded cast. The show garnered unprecedented ratings and appraisal as the number one primetime show in September 2012, opening more doors for Bernardo's shining career. In August 2013, she and Daniel Padilla announcing another television series: Got to Believe in which Bernardo plays Chichay Tampipi, a teenage girl who reunites with her childhood friend Joaquin Manansala (Padilla) after many years; Chichay falls for the rich boy despite their economic differences and family pasts, encountering difficult obstacles that put their love to the test. Got to Believe was also a primetime television hit, gathering 38.6% percent in ratings during the broadcast of the show's final episode and placing at #2 on Kantar Media's nationwide TV ranking list. Together with Padilla, they both starred in a Filipino romantic-comedy movie entitled 24/7 in love that was released on November 21, 2012. She then starred alongside comedian Vice Ganda together with Daniel Padilla in the 2012 MMFF entry, Sisterakas; in the 1st quarter of 2013, Bernardo, with co-star Daniel Padilla, released her first solo project film from Star Cinema entitled Must Be... Love that was broadcast on March 13. In December 2013, Bernardo and Padilla starred in the film (an entry for 2013 Metro Manila Film Festival) Pagpag (produced by Star Cinema and Regal Films) which was broadcast on Christmas Day. Bernardo and Padilla once again headlined a movie adaptation of Bianca Bernardino's best-selling novel named She's Dating the Gangster as part of Star Cinema's 20th anniversary in July 2014. The movie was produced by Star Cinema, co-produced by Summit Media and directed by Cathy Garcia-Molina. This is the 5th movie in which Kathryn and Padilla are paired on the big screen after the success of their romantic comedy television series Got to Believe (which was also directed by Garcia-Molina). According to Star Cinema Advertising Manager Mico del Rosario the film was a financial success, gathering PHP 15 million (US $340,000) on its first day of showing. On its 4th week (August 3, 2014), the movie reportedly grossed PHP 230 million (US $5,476,190). A year after her recognition from FHM UK, Bernardo was ranked 17 behind former Japanese AV Idol Maria Ozawa for the FHM Philippines 100 Sexiest Woman 2015, which won by Jennylyn Mercado. On December 1, 2014 Bernardo with Daniel Padilla and Vice Ganda were given their own stars in the country's version of the Hollywood Walk of Fame, the Eastwood Walk of Fame, located at Eastwood City, Quezon City. Bernardo has been involved in singing ventures such as her guest appearances for Daniel Padilla's concert "DOS" and her participation in the soundtrack albums of her primetime television shows. Bernardo recorded her first solo "Mula Noon Hanggang Ngayon" as part of the soundtrack for Princess and I in 2012 and was originally sung by Lea Salonga. In 2013, she recorded a cover of David Pomeranz's "Got to Believe in Magic" with Padilla for their primetime television Got 2 Believe. In 2014, she began to venture into music by recording various original songs and releasing her first studio album titled Kathryn. A duet with Padilla titled was used as the theme song for ABS-CBN's Summer Station. Bernardo also released her first solo original song titled "Ikaw Na Nga Yata", which was used in the local airing of the Korean series Pretty Man. On November 6, she released the lead single to her debut album titled "You Don't Know Me" which was written by Marion Aunor and is about a blooming relationship that fails to take off because of the lack of effort of one of those involved to genuinely get to know the other. The album was released on November 30 under Star Music, consisting of eleven songs in total. Bernardo cites American pop stars Taylor Swift and Ariana Grande as her musical inspirations; she further said she considers local pop sensation Sarah Geronimo and singer Yeng Constantino her idols.